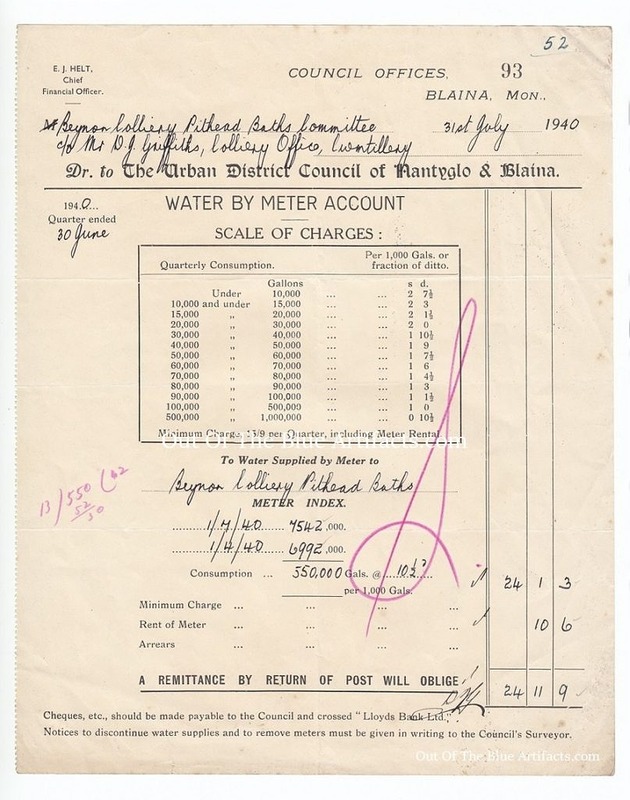 Blaina Council Offices, Blaina Monmouthshire, Water Bill. 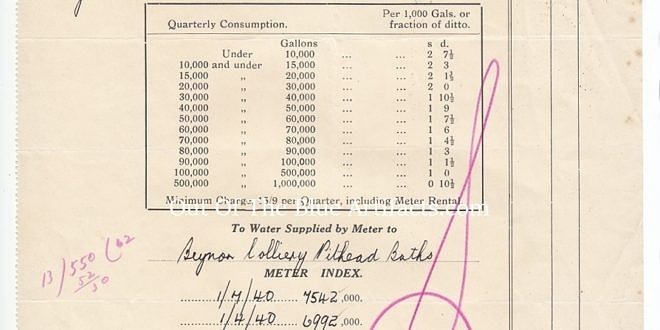 A receipt from Blaina Council Offices to Beynon’s Colliery Pit Head Baths via Mr D. J. Griffiths Colliery Offices, Cwmtillery, of payment for water supplied by the Council to the Baths. It is a quarterly bill for the amount of £24. 11s. 9d for 550,000 gallons of water including rental of 10s. 6d for the water meter.